Here’s a fantastic chicken soup recipe to thaw the chill of winter or bring a little sunshine to a rainy afternoon. 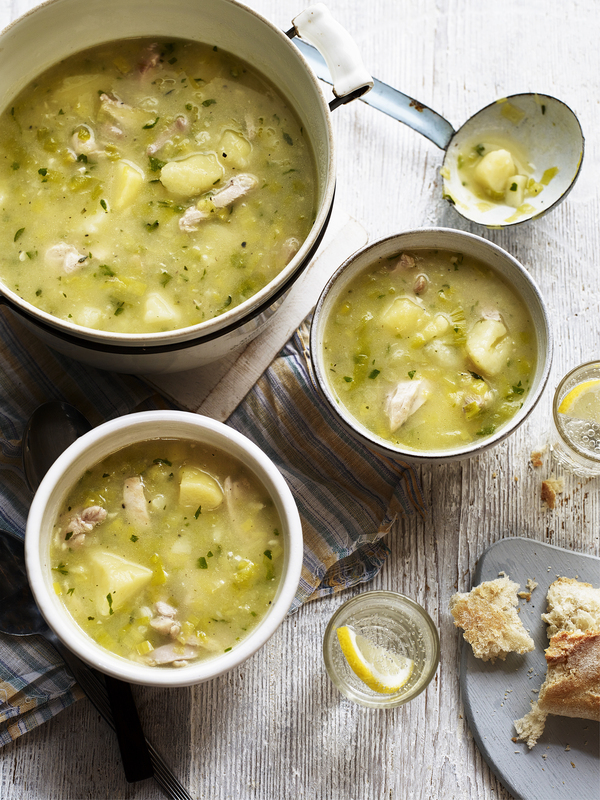 This chunky chicken and potato soup recipe allows the soft textures of the humble spud to meld with the fantastic flavours of chicken, parsley, thyme and garlic. It’s called chunky for a reason – it’s filling and warming but incredibly easy to make! In a frying pan, cook the chicken thighs in the olive oil until golden. In a medium/large saucepan cook the leeks and garlic over a low heat in the butter until soft, about 7 minutes. Add the plain flour and stir. Pour in the chicken stock, add the potatoes and bring to a simmer. Pop the chicken in and cook for about 10 minutes, remove the chicken and shred with a fork. Keep the soup simmering away whilst you work on the chicken. Add the chicken back to the pan with the fresh thyme and season with salt and milled pepper. Serve with fresh parsley and fresh bread.